The Leopard morph is a colour and pattern morph, which originates out of a breeding from two Sonora Boas. A high variability regarding the colour and pattern is characteristic for the Leopard and reaches from a deep black up to a light grey or even red brown basic colour. The bellys of the Leopards are mostly coloured in a beautiful red, which is a perfect contrast to the basic colour. 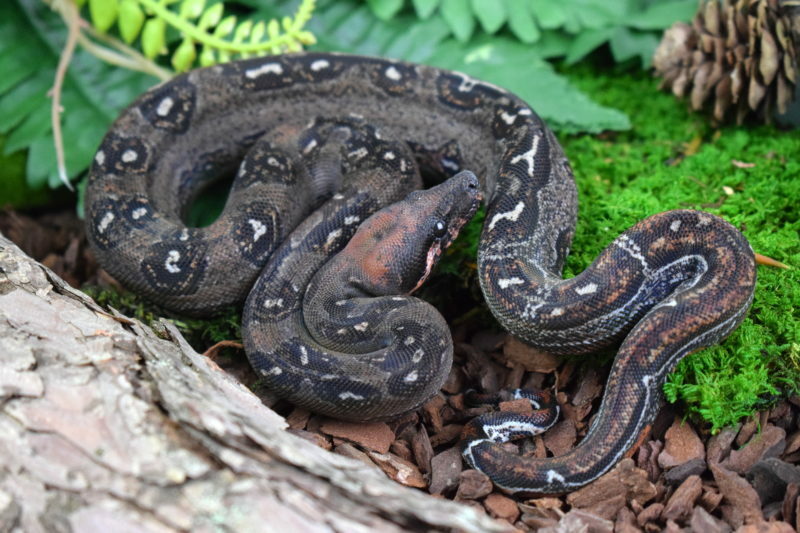 Leopard Boas are getting more and more popular because the combination with other morphs developed some spectacular morphs. To name the famous ones, there are already Albino, Sunglow and Hypo Salmon Leopards existing which are catching with an unbelievable colour and pattern. Another interesting fact regarding the Leopard boas is their size. An adult Leopard (Sonora boa) is maximum around 1,60m to 1,80 m long. For sure an interesting option for people who want to have a small size Boa. c. imperator.